Crisp, modern lines define the powder room. The colors, textures, and fixtures have minimal detail yet strong presence. Lest the elements run too strong the vanity sconces here provide both a sense of whimsy and femininity. 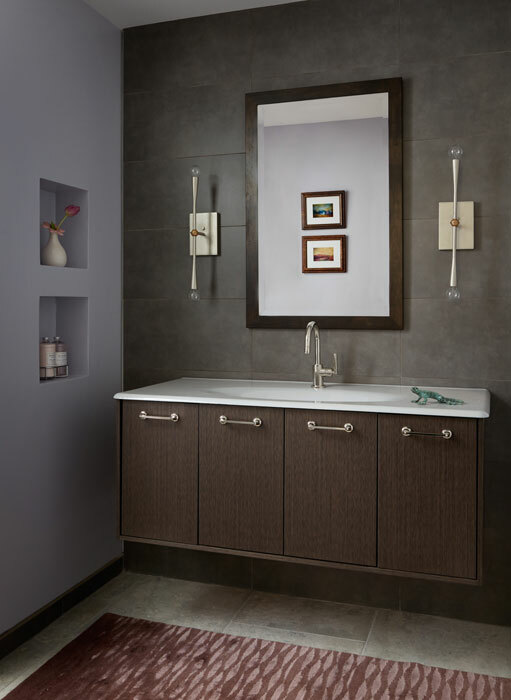 Porcelain tiles cover the entire vanity wall and appear slightly sueded and soft.